This assortment is a great way to start your homesteading flock. Can we ask for a particular geese, like Roman tufted? All breeds included in the Homesteader's Delight are hatchery choice. We are unable to request specific breeds in any of our assortments. Can I get the Homesteader delight without Geese? Sorry, we are unable to make substitutions or changes to the Homesteader's Delight assortment. The package will include 10 female baby chickens, 2 turkeys, 2 gosling and 2 ducklings. chicks are here!Arrived on time and appear to be healthy. All of my pullets appear to be of the same red breed... I was hoping for a bit of a variety, but next time I won't go for the package. I also didn't get a free rare breed chick so they must not come with this package. 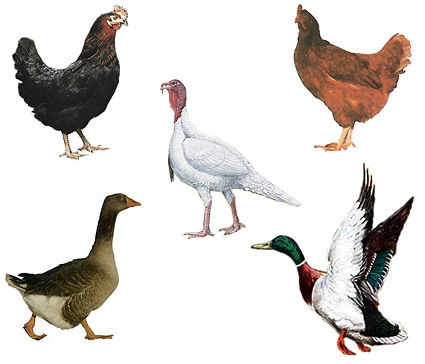 Cat wait to see what breed my ducks geese and turkeys are!